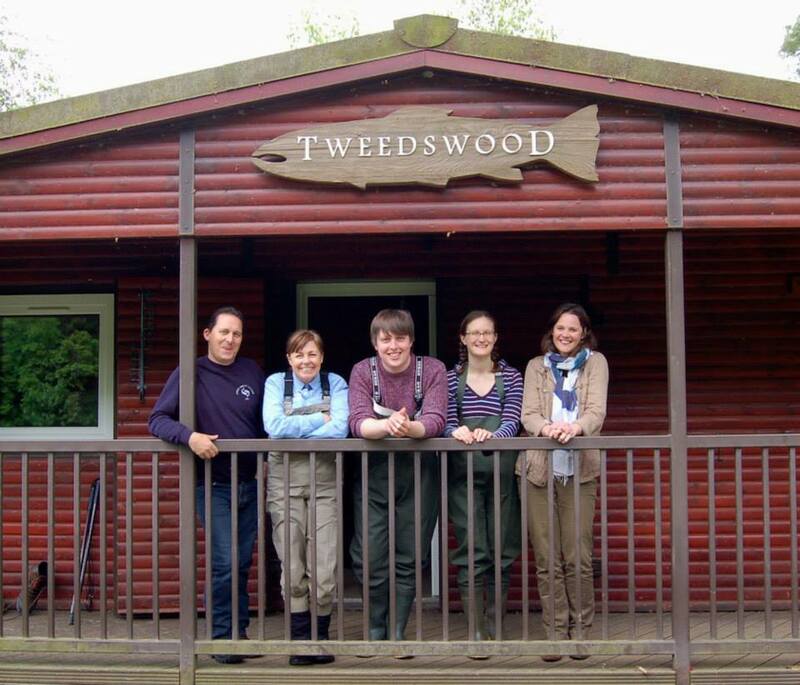 Tweedswood beat introduced two members of Visit Scotland’s fishing team to salmon fishing last week. David Walsh and Miriam Evans work in Visit Scotland’s content department responsible for fishing product editorial. The morning started with a general introduction to equipment. Kevin set up the latest rods from Scottish rod manufacturer and distance casting champion Scott Mackenzie for David and Miriam to use. After a safety check they were ready to experience the fine art of casting a salmon rod. It was not long before both were enjoying the casting, beautiful scenery and ospreys flying over head. Fish were also splashing in the pool – a perfect morning with anticipation of catching their first fish. FishTweed reporter Iain Wilson and Emma from Crabtree and Crabtree joined us for lunch. It was not long before Iain was explaining flies, lines, tippet and how easy, affordable it was to hire equipment, including book a casting lesson for salmon or trout fishing. Emma explained how important fishing was to the local borders economy – including the demand for quality accommodation from visiting anglers. The main topic of discussion from all was the importance of promoting Scottish fishing to the world wide angling community and how important fishing tourism is to communities in Scotland. Miriam said “We both had a great day and a really fascinating insight into salmon fishing”. David commented “how relaxing” salmon fishing is. Thank you to Kevin Paterson Tweedswood – for his excellent tuition, humour, plenty of fish seen, but sadly none connected with. Iain Wilson, Borders Gunroom for wader hire. Malcolm Anderson, Caledonia Flies. Mackenzie rods. Emma Crabtree & Crabtree and Becky from the Lunchbox.